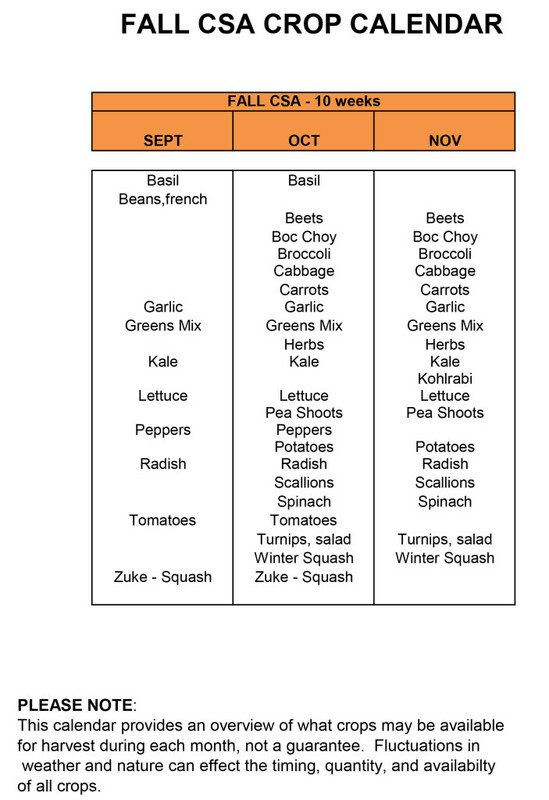 Our fall CSA is 11 weeks of delivery for 2016: September to mid-November. Pickup is at 5th Season Gardening on Wednesday afternoons: 1:30 to 6:30pm and UVA office to be announced. 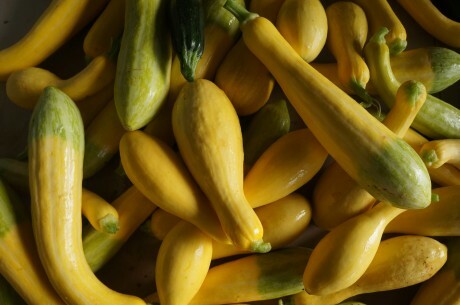 The vegetables offered in our fall share spans from heat loving crops like tomatoes, green beans and squash to the greens and root crops of fall. Our 3 hoophouses allow us to extend the season and bring you lettuces, greens into winter.